Try this easy to make, delicious rava ladoo using condensed milk; you can prepare without any tricks / tips to follow! This is the perfect sweet for beginners to try and relish for any special occasion and can me made within 15 to 20 minutes. Try and share with your loved one for this Diwali! In the wide pan add ghee; fry the cashews and till it turns golden brown. Remove that and keep aside. In the same pan, add the rava and fry in medium flame, till it becomes hot and gives nice aroma. Next add condensed milk, milk, cardamom powder. Mix well and switch off the gas. When it is become warm; start making ladoos out of it. 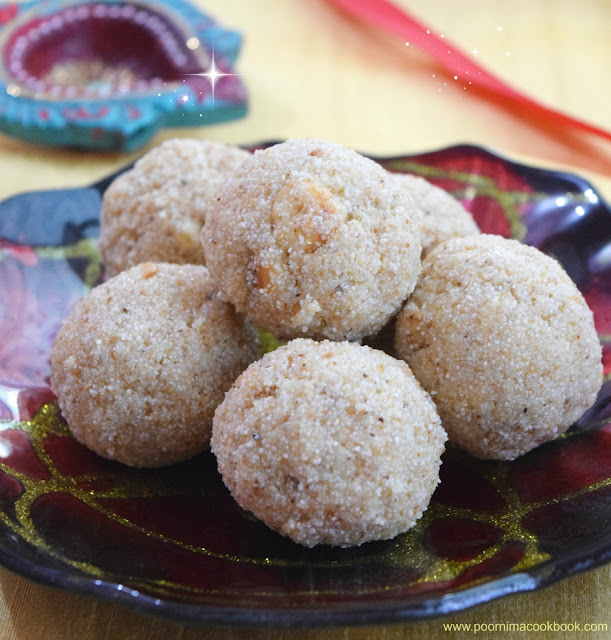 Yummy, soft ladoos are ready to eat. The shelf life of this ladoo is 2 to 3 days in room temperature. You can store this for 5 to 6 days if refrigerated; but don't forget to bring it to room temperature before serving. You can add raisins / tuitty fruitti for extra taste. 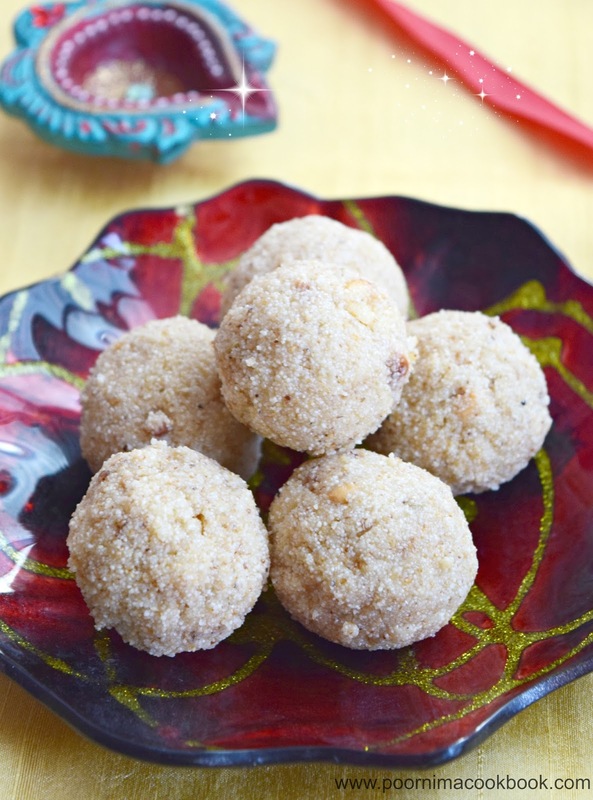 If you feel the ladoo is not sweet enough or the mixture is dry to hold the shape, you can add more condensed milk.